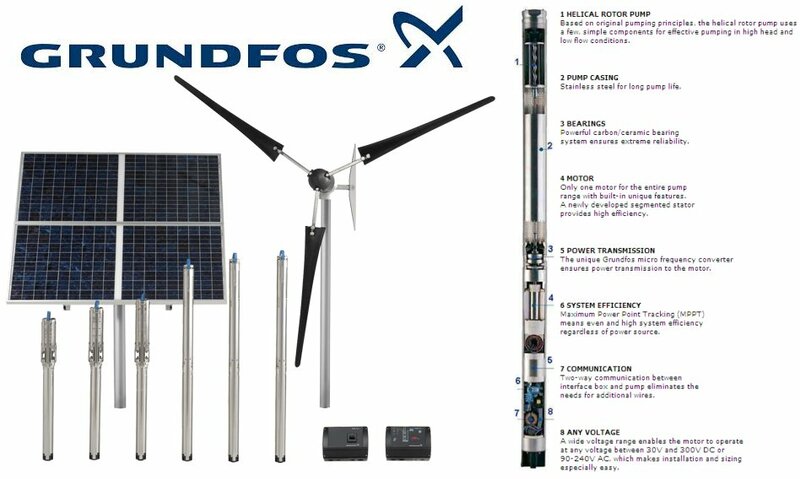 Grundfos solar pumps specialize in submersible models for the world market. Their quality ranks at a top level with the high quality materials & workmanship. These pumps have some unique features over competitive makes. They can fit down bores as narrow as 80mm casing. Work with DC or AC power supply. With such a range we have opted to only make one general data sheet available on the pumps. Calculating which pump is best suited to any individual application is quite complex, we therefore recommend contacting us with your specific requirement to allow us to advice which is the best pump choice. Please contact us for information on any of the models & variations.